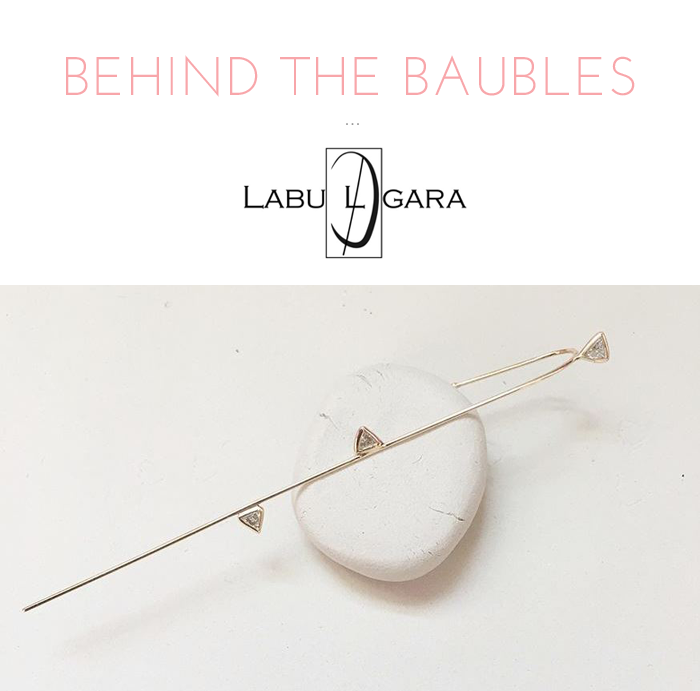 Nadia Todorova of Labulgara Jewelry Collection created her NYC-based brand in 2016. Her work takes an irreverent approach to fine jewelry, crafting precious metals and stones into edgy designs. The signature piece of her collection is the needle earring. 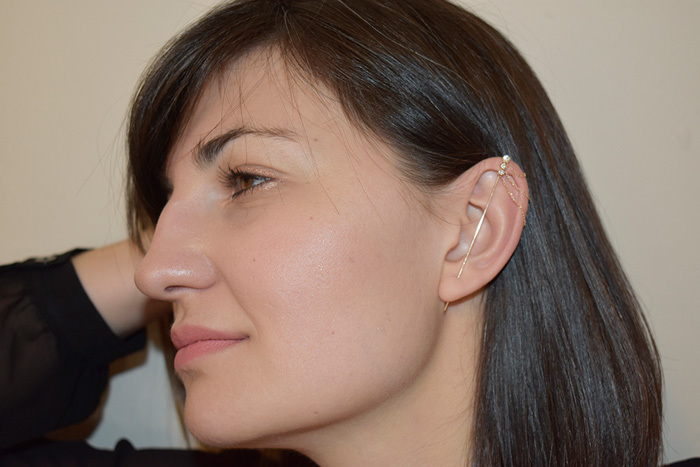 Resembling a sword, the earring cuffs around the top of the ear and plunges downward through a piercing. 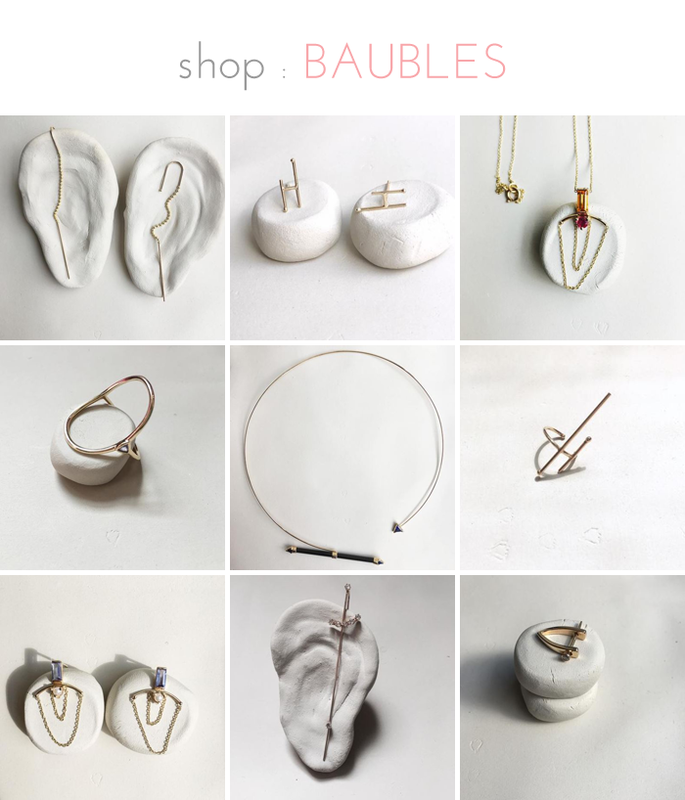 You can also find her work online at Catbird NYC and Free People. Sometimes you come across a brand that just makes you happy. 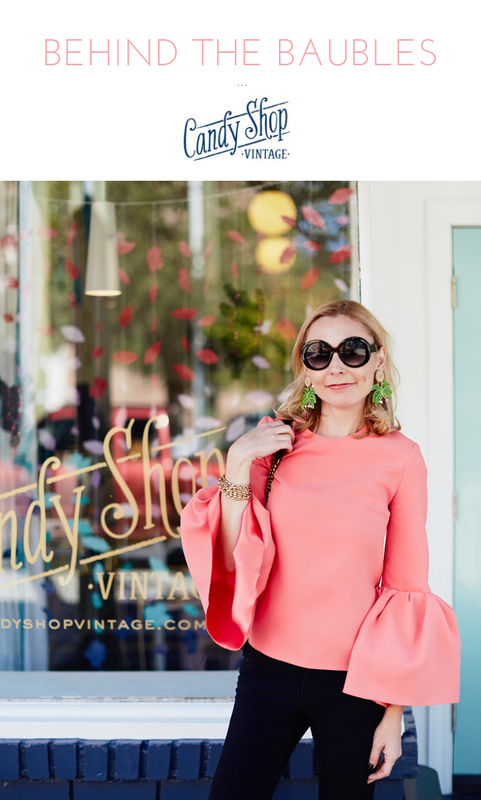 For me, that brand is unquestionably Candy Shop Vintage with its charming designs like a French 75 charm bracelet and a champagne pendant and an equally charming designer at the helm. 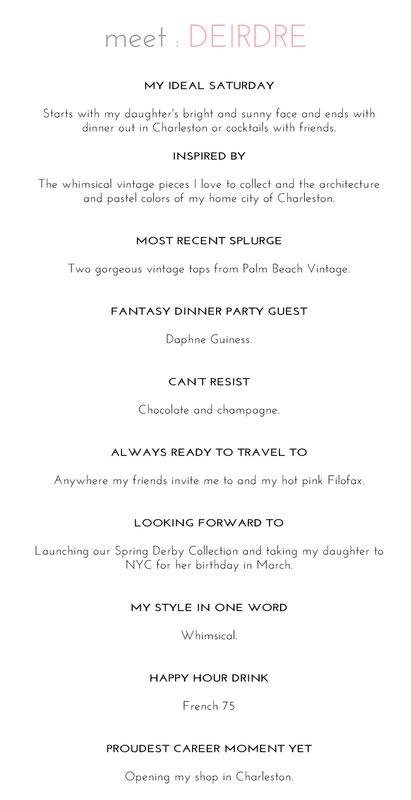 Candy Shop Vintage was founded in 2009 by designer Deirdre Zahl. Her experience in fashion and design in New York led to a passion for vintage jewelry. Pieces from her collection have been featured in national magazines, popular blogs, and even on the hit TV show “Mad Men.” After years of collecting and selling vintage jewelry, Deirdre designed and launched The Candy Shop Collection, her own jewelry line that was inspired by vintage designs and reflected the quality and craftsmanship of those pieces. One of her brand’s flagship lines is the Charleston Rice Bead collection, which pays homage to the port city’s history and the importance rice played as a commodity in South Carolina. Maybe it’s just me, but every now and then I daydream about being bedecked in gemstones the size of my palm. This fantasy usually crops up when we’re traveling and admiring the royal jewels of a country, but now it’s becoming closer to reality with Anna Davern’s jewelry. Sort of. Australia-based Anna Davern is one of the most innovative jewelry designers I’ve come across recently. She creates trompe l’oeil earrings that resemble staggeringly expensive, oversize precious gemstones by using a sublimation printing technique on old biscuit tins and tin trays. The end results are unexpectedly gorgeous statement earrings that don’t need to be reserved for special occasions – or protected by armed guards! *These are my favorites. They’re replicas of the Oppenheimer blue diamond, which became the most expensive jewel ever sold at auction. I founded my line as an extension of myself; rooted in an innate desire to build something. I am a self-taught designer, and, as it turns out, it’s the most intuitive, effortless process that I have ever known. I am committed to a personal philosophy: the market does not need more soulless, short-lived fashion jewelry, nor does it need over-priced plated pieces. Each piece I design is deeply inspired and well thought-out; produced in the highest quality, and sold at a fair price. Not only does her approach to creating beautiful, accessible pieces earn my respect, it earns my total fangirl approach to her brand. My collection includes these major statement earrings, this pair that has incredible movement, and this minimal choker. Up next? I’ve got my eye on this pair of oversize studs in oxidized brass. Don’t they just look like the perfect accent piece for summer’s bohemian-inspired dresses? 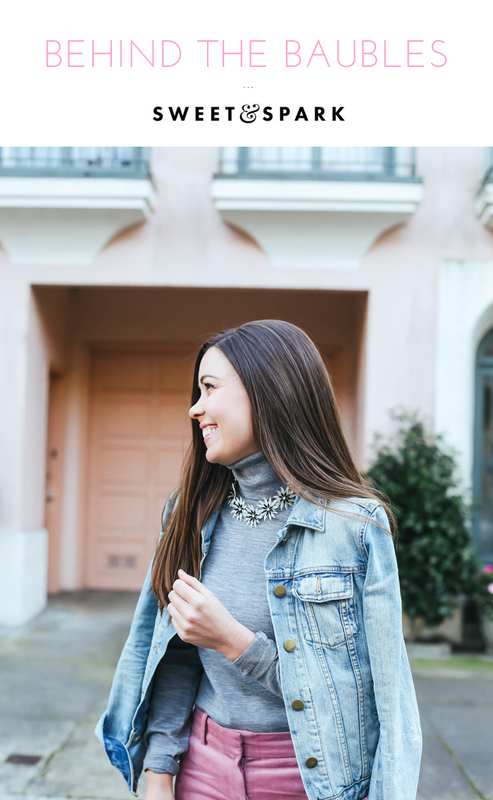 Jillian Bremer and I have been Instagram buds for awhile and I’m embarrassed to say that I’m just now introducing you to the beauty and brains behind the vintage jewelry treasure trove that is Sweet & Spark. The San Francisco-based entreperneur started Sweet & Spark back in 2012 with her father while she was between jobs. Her father, Howard, had always had an appreciation for timeless, vintage pieces, which inspired Jillian to begin hunting for jewelry that has stood the test of time. Soon after, Sweet & Spark was born. 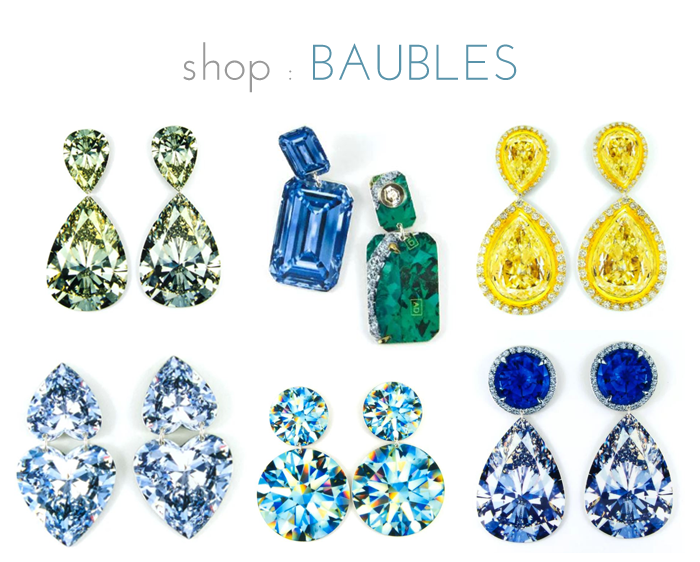 The online shop is a testament to her passion for vintage jewelry where a carefully curated selection of the best and most unique baubles awaits. 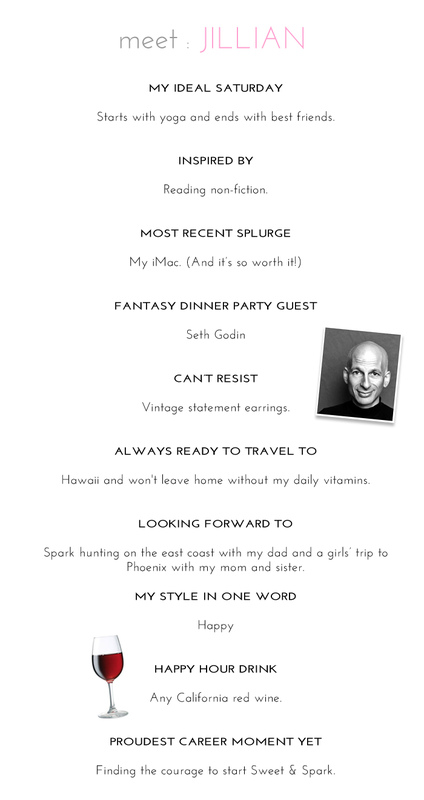 Read on to learn more about Jillian!